Other ingredients: corn starch, vegetable cellulose, maltodextrin, croscarmellose sodium, vegetable stearate, silica, coating (hydroxypropyl methylcellulose, Tom-a-to RED, triacetin). This product contains NO milk, egg, fish, peanuts, crustacean shellfish (lobster, crab, shrimp), soybeans, tree nuts, wheat, yeast, gluten, or rice. Contains NO sugar, and no artificial sweeteners, flavors, colors, or preservatives. Due to the natural tomato red coloring used in the manufacture of PRELOX®, tablets may fade over time as they are susceptible to light and oxygen. 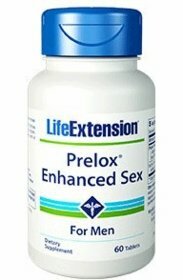 Prelox® and Pycnogenol® are registered trademarks of Horphag Research Ltd. Prelox is protected by U.S. patent #6,565,851B2. Pycnogenol® is protected by U.S. patents #5,720,956 and #6,372,266 and other international patents. Medicariin™ is a trademark of Pharma Science Nutrients, Inc. Dosage and Use: Take two tablets twice daily for the first two weeks and one tablet twice daily thereafter, or as recommended by a healthcare practitioner. Caution: If you have diabetes and/or significant kidney or liver disease, please consult with your healthcare practitioner before using this product. Note: Due to license restrictions, this product is not for sale to customers outside of the United States of America.